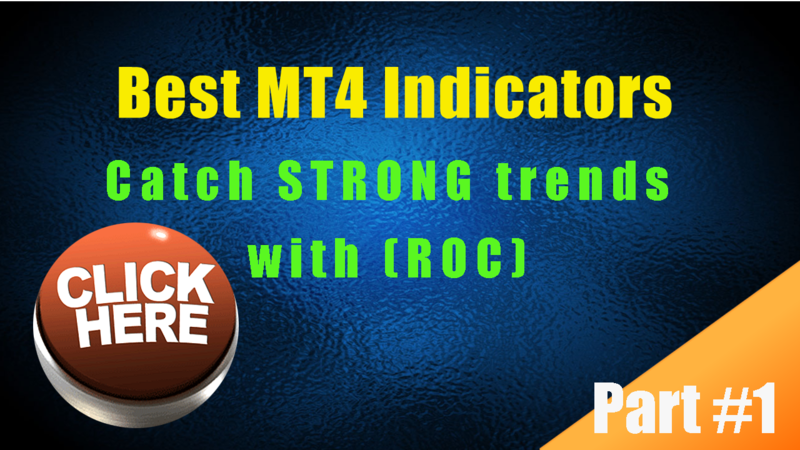 This is the first of our series covering in our opinions the best MT4 indicators starting with the ROC Rate of change. We are going to work very hard to not only share what in our opinion are the best mt4 indicators but also show some concepts of how to use them together in simple strategies with other MT4 indicators. The rate of change sometimes called the roc is featured in the video below. Basically the roc is a measure of the percentage of change over a selected period of time. This means that the ROC basically is a momentum based indicator and a way to interpret the strength of a given trend based on the volatility of the market in that span of time compared to the average volatility of the markets. I described the rate of change is a sort of speedometer to give you an idea of how fast the market is going and fast or slow is just a matter of opinion until you have something to compare it with. This is where the mt4 indicator known as the rate of change comes in handy. A faster rate of change is often looked at as a stronger trend and a slower ROC is a weaker trend also base this not only on the direction plotted but also the zero line on the mt4 indicator in the center. We are using the ROC along with some popular moving averages and heiken ashi candles to do a fast binary options trade to illustrate the logic and how to use what we believe to be one of the best mt4 indicators as part of your tools to get in on a strong high beta trend and hopefully catch a faster ride to the desired destination of profits. I am using a binary options example in the video but also with spot forex or nadex spreads it is more important to catch aggressive moves that can shake up the market more and that is why we view the ROC or rate of change as one of the best mt4 indicators to grab out of your tool box. You will also need something along with price action to help you interpret the dominant trend after you have interpreted the strength in our opinion and for that in this example we were using Heiken ashi along with moving averages. Download the indicator free below. INSTALLATION: Copy the contents of the indicator folder to your installed MT4 indicators directory. Copy the template to your MT4 templates directory. Reboot MT4 and load the template. We are suggesting 15M timeframe or above for the best use of this template and indicators.